Don’t want to wait for shipping and don’t care what we had to say in the audio commentary? Watch it now on Vimeo! 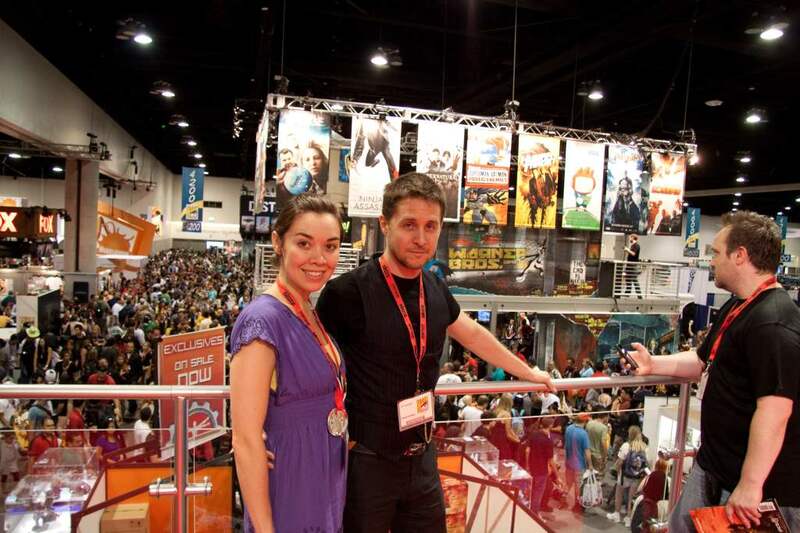 Tara Platt and Yuri Lowenthal pose overlooking the San Diego Comic-Con showroom. Documentary filmmaker Boris Kievsky accompanies his two “famous” voice actor friends, Yuri Lowenthal and Tara Platt, through a year of attending the weird and wonderful world of science fiction/anime/comic book/ fantasy conventions. Boris learns and reveals a lot about this world that most people don’t see, and gains insight into what it means to be famous in that little bubble. 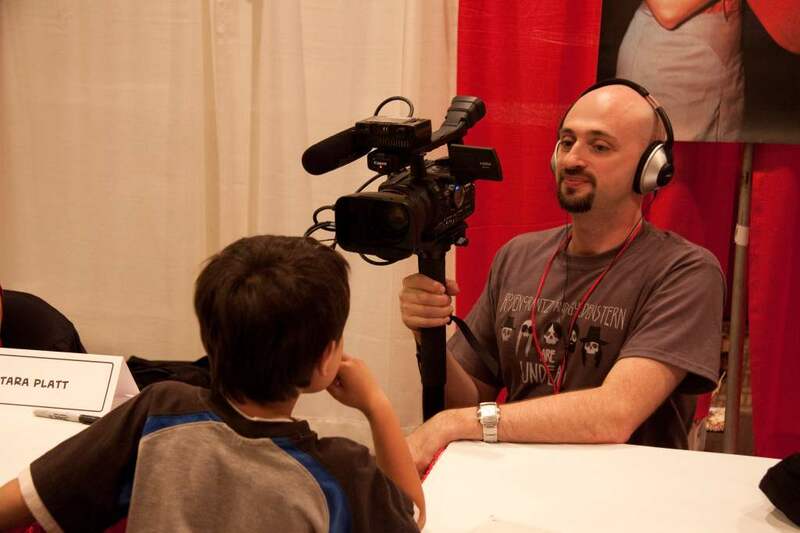 Boris films the action at Phoenix Comicon as a young fan is stumped trying to figure out what he’s doing there. But after setting out to capture the joy and excitement of the “con,” Boris inadvertently captures the dark side of the con artist life…even as he’s blinded by the promise of fame for himself. Can their friendship survive? Rock and Roll had THIS IS SPINAL TAP, dog shows had BEST IN SHOW, and now the everlovin’ nerd community has the new mockumentary CON ARTISTS! 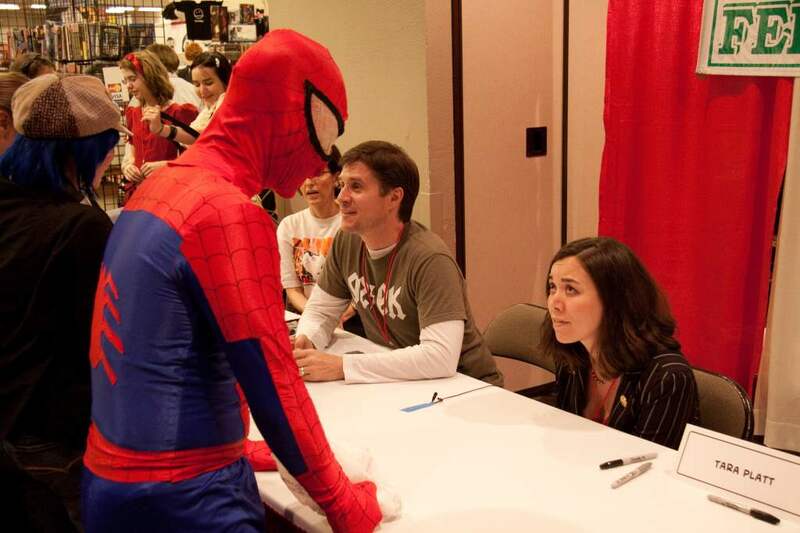 Enter the ridiculous and bizarre world of comic cons, voice acting, and fandom, where anything can happen (and usually does). Starring Yuri Lowenthal and Tara Platt with cameos from a host of geek celebs—like Wil Wheaton, Aaron Douglas, Steve Blum, and many more—CON ARTISTS is an affectionately satirical look behind the curtain of pop culture conventions and the craziness that “fame in a bubble” can bring. Did we mention these DVDs make great gifts? Wants to know what it’s like at a Con? Wants to know what a voiceover actor’s life really looks like? Doesn’t “get” why you spend your time and money sewing costumes and going to hotels all over the country?